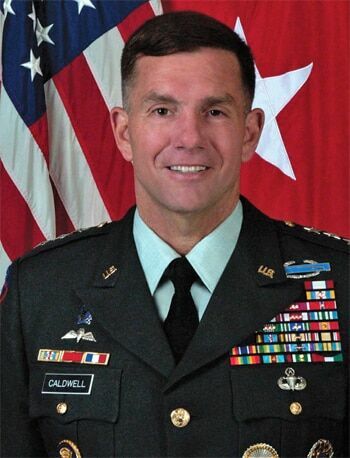 Lieutenant General William B. Caldwell, IV, is a highly decorated and very senior commander within the US Army. Not only is he a military hero, he is now a hero for bloggers and those interested in the whole concept of “user-generated content”. LTG Caldwell has gone further than any other senior military commander in the USA in his support for blogging. Indeed, he has recently sent out a memorandum to his subordinates saying that “faculty and students will begin blogging as part of their curriculum and writing requirements both within the .mil and public environments”. LTG Caldwell is the commander in charge of much of the US Army’s education programmes. His memo makes it clear that blogging will become a way of life for the military. Because the US Army is to use blogging within the education of its troops and officers, the whole notion of blogging will start to seep into everything the US Army does. The educational basis for blogging will mean it becomes second nature to US Army personnel. The genie is out of the bottle and there is no going back. Also note the words in the memo; this isn’t guidance or suggestions, this is a military instruction. Consequently it WILL happen. Many American soldiers already write blogs, but this command is going to see a huge explosion in the numbers of military blogs being produced. To date, many in the military have campaigned against blogging because of the potential support it provides to “the enemy”. Clearly the powers that be in the Pentagon are now convinced that the benefits of blogging outweigh the risks. So, if the US Army reckons that blogging has so many plus points – and are prepared to insist upon its use in spite of the potential for informing “the enemy” – why do so many businesses ban blogging, or are simply ignoring it? Blogging is not something your business can ignore. In a sense, blogging is conversation between you and your customers and potential customers. Ignoring blogging is rather like setting up a High Street shop but keeping the doors permanently locked. In a similar way, for the US Army, ignoring blogging would be rather like setting up camp and not even telling your own troops it existed. True the Army will also tell the enemy and true businesses will reveal loads to the competition. But to think that the enemy doesn’t know where you are, or to think that your competition doesn’t know much about you is simply naive. And that naivety could hold back the progress of your business.